I mean, after seeing Top Gun for the first time he always was one in my eyes, but it seems Scientologists are slow on the uptake. 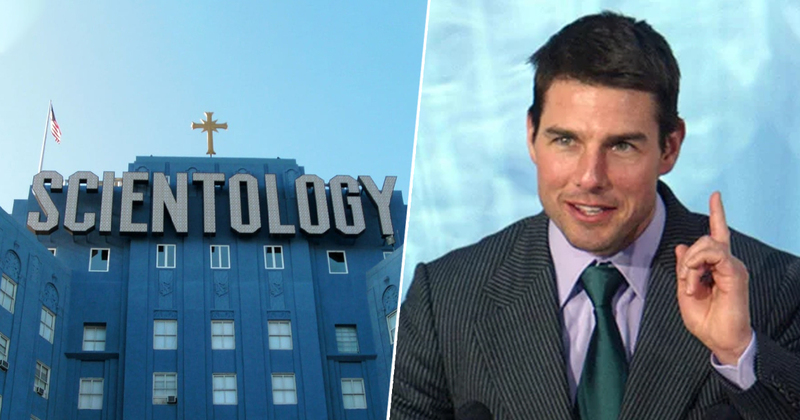 Nonetheless, they’ve caught on now, as a former member of the Church of Scientology has revealed a few secrets about what really goes on behind the religion’s closed doors, one of which is worshipping Tom Cruise as a god. According to Leah Remini, of The King of Queens fame, low-ranking members of the church are ordered to watch Cruise’s movies multiple times. Perhaps there’s something religious about it, perhaps they’re just boosting sales, but – as is often the case with Scientology – the ‘why’ isn’t really given much thought and certainly little explanation. Still, if a religion is ordering me to watch blockbusters all day, it’d be hard to say no to. I hope they provide popcorn. Remini was talking to Page Six when she revealed the actor is ‘considered a deity within Scientology’, and that ‘he is second to David Miscavige – the saviour of the free world’. Cruise joined the church in 1990. Is it any coincidence that he made his best movies – Top Gun, Cocktail, Rain Man – before then? I mean, what’s he done since then? OK, Jerry Maguire was pretty good. And Mission Impossible. And Magnolia was great, and Rock of Ages was… a film. So is it a bit of a chicken and egg situation? Did Scientology help boost Tom Cruise’s career, and continues to do so? Or does his profile as one of the most famous actors in the world help boost Scientology’s numbers? It’s also reported Cruise’s adopted daughter with Nicole Kidman, 26-year-old Isabella, is following in her dad’s footsteps as part of the church. Her involvement was revealed in a recent newsletter sent out to members by Scientology London, in which Isabella described her experience as an auditor – someone who helps current and potential members ‘rid’ themselves of ‘spiritual disability’ while increasing their own abilities. I became that annoying girl in the org who would just talk endlessly about how incredible training is and how phenomenal the internship is. I’m sure a few people couldn’t deal just like I couldn’t. But I won’t stop with that because now I KNOW. We all need to do this. It’s hard work. It’s a lot of effort… This is a gift to yourself and so many others. It doesn’t matter if you aren’t going to be an auditor or aren’t going to join staff. If you are going to make it as a being for the long run you NEED this. That’s the truth. But, as her father well knows, some people can’t handle the truth.